Yesterday, I got home feeling tired but excited. It has been a very long week for me. I have been having a hard time in school. I just feel so stressed all the time. Deadlines creep up on me and I feel overwhelmed. Needless to say, I welcomed the weekend with open arms. My friend from school dropped me off and I dragged myself up the stairs to our apartment. I tried to find the energy to cook dinner for my family but failed. I texted Berto the sweetest message with a pizza request in the end. He asked "what flavour?" Score! 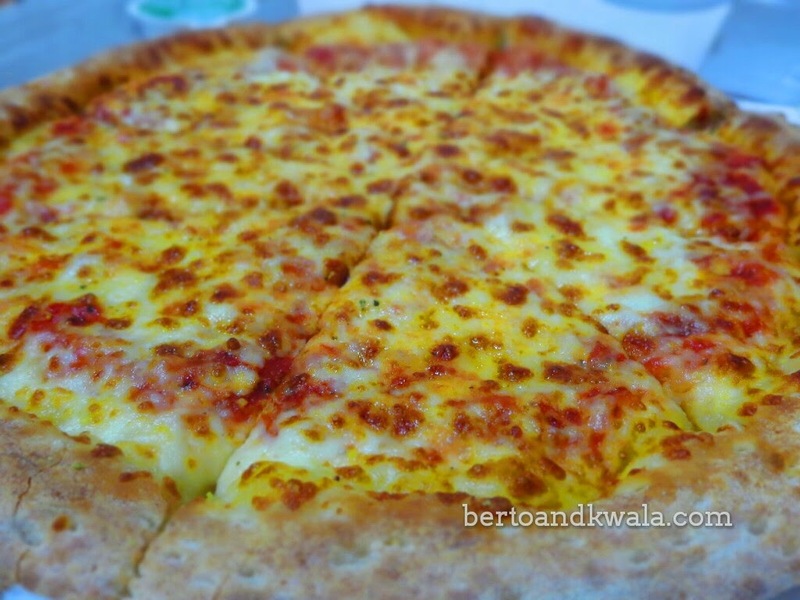 For Bea and I, our favourite Papa John's pizza flavour is cheese! Boring, I know, but we just can't get enough of it. For Berto, it's different every time. 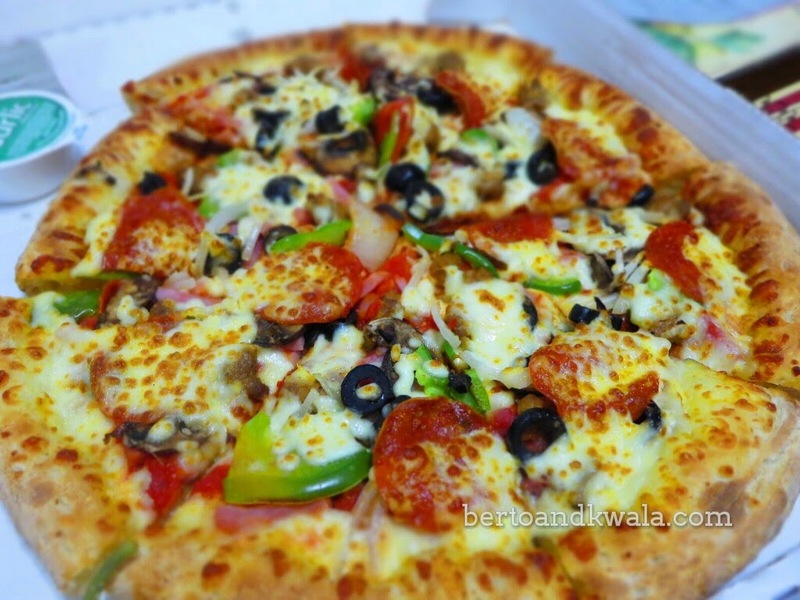 This time he ordered The Works. 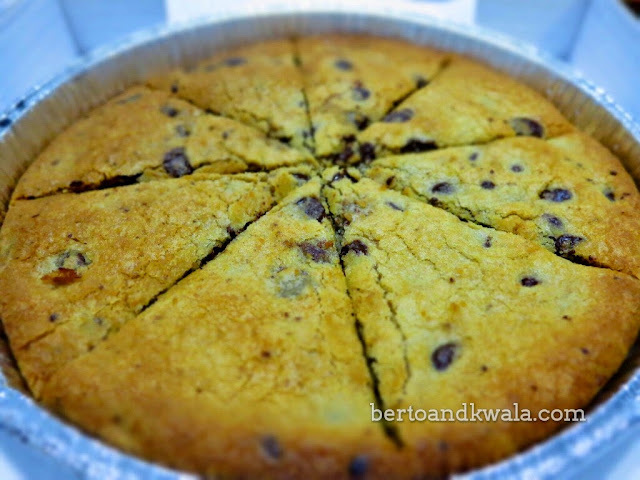 And as aspecial treat, Berto also ordered the delicious Family Chocolate Chip Chookie.